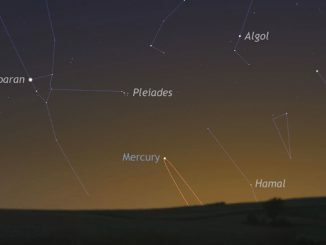 Mercury attains a greatest easterly elongation of 19 degrees from the Sun on 1 April. 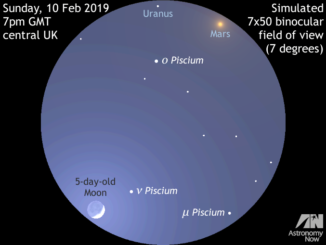 This solar separation combined with a favourable inclination of the ecliptic to the western horizon an hour after sunset, means that the period 25 March to around 8 April offers the year’s best evening showing of the innermost planet for Northern Hemisphere observers. 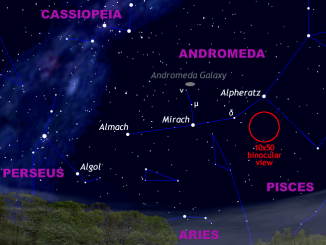 One of best deep-sky objects of the approaching season is the Andromeda Galaxy, or Messier 31, that is now accessible low in the east-northeast by 10pm local time in the UK and Western Europe. Here’s our comprehensive guide to locating this iconic Local Group galaxy. 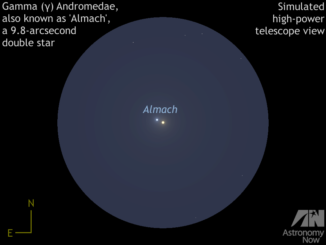 Have you ever seen Mercury with the naked eye? 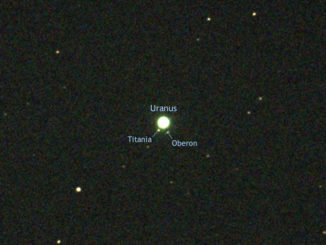 If not, now is the time to check the elusive innermost planet off your list. 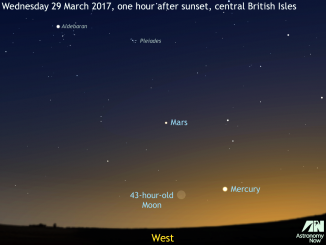 Mercury reaches greatest easterly elongation from the Sun on Monday, 18 April, the highlight of a very favourable dusk apparition in the west-northwest for observers in Western Europe and the British Isles.